A balanced body is an efficient machine that is more resistant to injury. Will Brett uses the leading workout methods and moves to help anyone interested in becoming fitter—golfers and non-golfers alike. Adding in the TRX method of training, adapted from bodyweight training developed for the Navy Seals, allows you to workout anytime, anywhere! The TRX is a gym in a small bag and is perfect for travel. if you travel for work and never have access to a gym, using this and FMT bands allow you to keep with the program and workout anywhere. TRX- All core, All the time- Make your body your gym. For those who have access to a gym, a program can be created specific to what equipment you have access to. The importance of developing a balanced body cannot be underestimated. Will Brett's training sessions include an active warm-up which may include foam rolling and corrective exercises to improve balance and alignment, followed by circuits of strength or power training mixed with core exercises and high intensity intervals. The end of the session is dedicated to stretching in order to bring your body back to a resting state and work on flexibility issues. Throughout the workout an emphasis on posture and alignment is paramount to keep the muscles working in the correct manner and keep form stable and correct. A lot of gym-goers ignore the importance of free weights and bodyweight exercises and opt for machine-assisted exercises. This strengthens the prime movers of the body, but the supporting muscles that stabilize the joints and core are not engaged. Training in this manner creates an unstable platform from which to engage in athletic endeavors. You can strengthen the supporting cast of muscles alongside the larger muscles by using free weights, medicine balls, TRX or resistance bands in a functional way (with your body having to support the movements rather than a machine), which can boost performance and reduce your chance of injury. 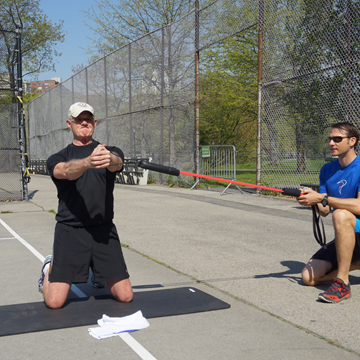 Will Brett's methods of training can be done with virtually no equipment, you can easily do it anytime, anywhere. Fitness doesn’t have to mean hours in the gym pumping out reps. Sessions can be done in home, gym or outdoors or what ever is convenient to you. 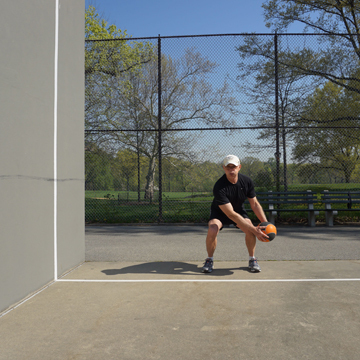 Circuit/Interval training with a combination of high and low intensity exercise, can produce the results you need for your game and your overall level of fitness.